Update: Soumyajit Ghosh wins Indian National Championhips! 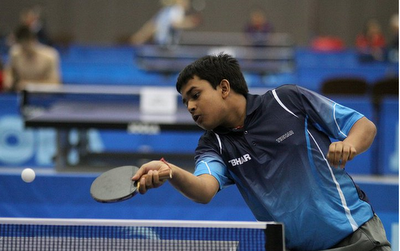 Earlier: Soumyajit and Ankita qualify for London Olympics. Soumyajit Ghosh became the Indian National Champion on January 12, 2013. He beat Sharath Kamal in the finals. In the semi-finals, he had beaten defending champion A Amalraj. Soumyajit showed his talent very early in career. The strength in his game is his poise and anticipation. He is at the ball quickly, which makes it possible to catch the ball earlier and place it better and also hit harder than normal. His game is still improving. Soumya now does not hesitate to counter topspins against a topspin. No less an authority than Sharath Kamal predicted great things for him. He has already started performing in the Men's event. 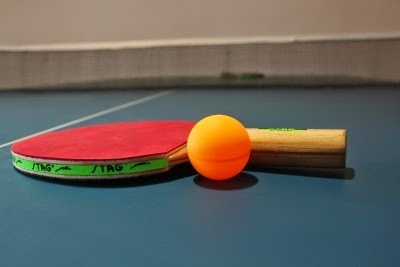 Currently training in Sweden and getting exposure to quality opposition, we hope that he goes far in the World of Table Tennis.